In case you live under a rock and have not heard, Joe is going on tour in the United States during the fall. Complete tour information can be found on our tour page. Any fans from Toronto!? Consider yourself lucky, Joe is stopping in your neck of the woods on November 17th. So here is the scoop for the fall presale. All presales will start on April 3rd. Each show while have it’s own unique presale code. By doing this, the goal is to cut down on people scalping tickets. No one will receive the presale codes before anyone else. So if you are signed up on Joe’s email list correctly with you geographical information listed correctly, you will get your presale code for the show in your area on April 3rd. That happens to be one week from today. Best of luck and hope you’ll be able to see Joe this upcoming fall. Hope you come back to B’ham! also looking forward to the tour in florida,how bout a roadtrip? 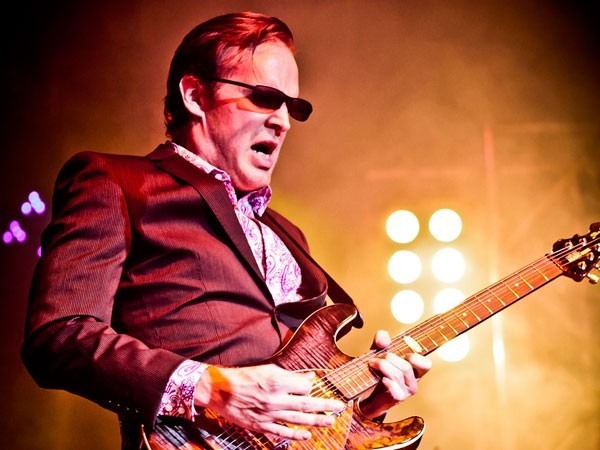 I am interested in ticket sales and information pertaining to Joe Bonamassa in concert in Durham, NC for fall 2012. Thank you. I hope this is true. I’ve been a member since Feb 2011 and have never received an email about local concerts. I don’t know how close you need to live to get a code for a concert. Located in Dallas and requesting pre-sale code for October 30, 2012 Dallas show. Thanks and enjoyed Joe on KERA public TV last week! Might be best to re-register using the same email address. If the website won’t allow you to use the same email address, try another email address. Give that a shot and let me know! Would that be the same registration as for the JBXP site? I got my email this morning with the promo code for my city. I’m seeing Joe for the first time here in Toledo on November 13th, and I’m front row center…I can’t wait!